Extension of unemployment benefits and the Bush-era tax cuts have eased economic uncertainty, driving better-than-expected retail sales through the holiday season and supporting healthy gains on Wall Street. In the coming year, the legislation will also help bolster economic growth. Many companies held back spending and permanent hiring in 2010 as they cautiously monitored the economy and risks of rising tax liability; however, expansion should build momentum as business confidence improves in 2011, fueling additional job creation and stronger GDP growth. Consumer spending will also benefit from the measure, as individuals on extended unemployment benefits tend to use these resources immediately. Tight credit conditions and elevated debt levels, though, will constrain the consumer sector, reducing their ability to contribute to economic growth as substantially as in previous recovery cycles. 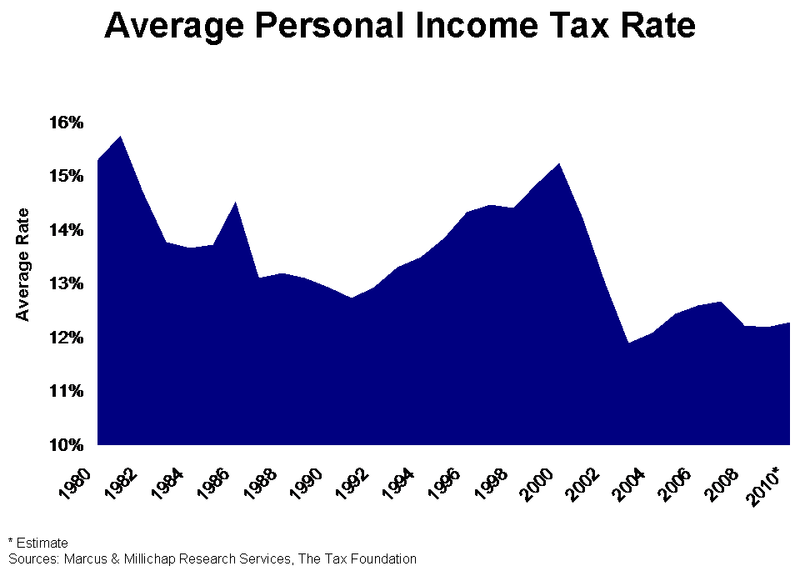 The $858 billion bill maintains the Bush-era tax rates across all brackets for the next two years, including for households earning over $250,000 annually. The measure also prevents the escalation of the 15 percent capital gains taxes, boding well for investors considering the liquidation of assets. The bill offers a host of other benefits, such as trimming payroll taxes 2 percentage points and allowing full depreciation on new equipment, which should further stimulate consumer and capital spending in the coming year. Also included is a 13-month, $50 billion extension of unemployment benefits, providing a safety net for those out of work for prolonged periods; however, this segment of the population should shrink over the next 12 months as the job market strengthens measurably. Renewed tax cuts and other incentives in the bill offer broad-reaching benefits for the near-term economic outlook. A forecast 2 million positions will be added in 2011, nearly twice the total added last year, which should apply downward pressure on the unemployment rate. Improved consumer confidence, linked to job growth and extended unemployment benefits, will fuel strengthening consumption, generating the potential for increasing output, rising business confidence and additional capital spending. Combined, these forces should contribute a 50 basis point to 75 basis points boost in the rate of GDP growth this year, with the possibility of an even greater upside. The steep price tag of the tax bill has risks, however, as it further inflates the ballooning federal budget deficit. Concerns surrounding record levels of public debt have increased in recent weeks following the Treasury secretary’s request to raise the debt ceiling. Retail sales will benefit from both the extended unemployment benefits and increased confidence over tax policy. This will encourage more retailers to take advantage of discounted lease rates to resume expansion over the next 12 months. While consumers will still face challenges in 2011, spending should rise sufficiently to support stronger retail space absorption. Combined with further reductions in construction, this should draw down vacancy 20 basis points to 10 percent. Increased consumer and business spending will bolster demand for industrial space. During 2011, an uptick in leasing, coupled with some of the lightest warehouse construction in 30 years, will place downward pressure on industrial vacancy rates in many metros. Port markets and major distribution hubs will likely lead the recovery in industrial operations. In 2010, industrial vacancy ticked up 40 basis points to 13 percent, resulting in the third straight year of rent reductions. This entry was written by marcusmillichap, posted on January 15, 2011 at 12:33 am, filed under Research and tagged Bush era tax cuts, Employment, unemployment. Bookmark the permalink. Follow any comments here with the RSS feed for this post. Trackbacks are closed, but you can post a comment.